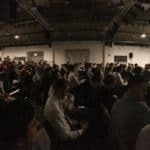 Blog on #iphc18 conference in Munich featuring the lowering cost of Passivhaus, the exponential growth of Passivhaus in China, climate change and much more. 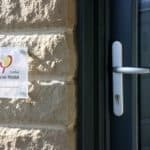 Blog sharing visitor feedback and our reflections on the 2017 Huddersfield Passivhaus Open Days. 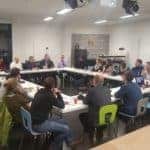 Blog on #UKPHC17 looking at local authority projects underway in the UK, the costs of Passivhaus and uptake of Passivhaus around the world. 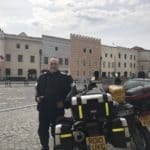 Bill Butcher’s diary/ blog on the International Passive House Conference in Vienna, and motorbike journey home with Nick Grant via Bratislava and Slavonice. 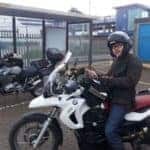 Green Building Store Director Bill Butcher’s diary/ blog of his motorcycle odyssey with Nick Grant to the International Passive House Conference in Vienna. 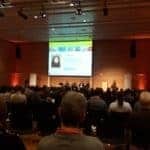 Grounds for hope and optimism – reflections on the International Passive House Conference #IPHC17 from Green Building Store’s Chris Herring and Paul Smith. 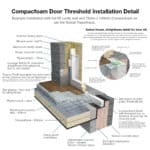 Blog featuring 3D diagram showing door threshold detailing at Golcar Passivhaus, including use of Compacfoam rigid thermoplastic insulation.